World Healthcare Students’ Symposium 2019 - Register now! Home / World Healthcare Students’ Symposium 2019 – Register now! 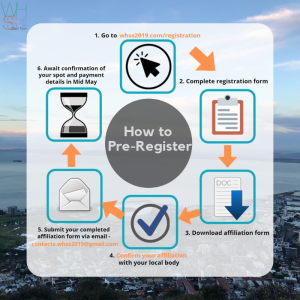 World Healthcare Students’ Symposium 2019 – Register now! 2. Information summary: The World Healthcare Students’ Symposium is a multidisciplinary, international gathering of students, featuring a variety of talks, workshops and events. This 4 day event promises to be an exciting opportunity to learn and tackle global health challenges and build international networks. e. Wait until 1st of May to have your spot confirmed by IFMSA. multidisciplinary, international gathering of students in an array of health disciplines. Featuring a variety of talks, workshops and events, this 4 day event promises to be an exciting opportunity to learn, tackle global health challenges and build international networks. 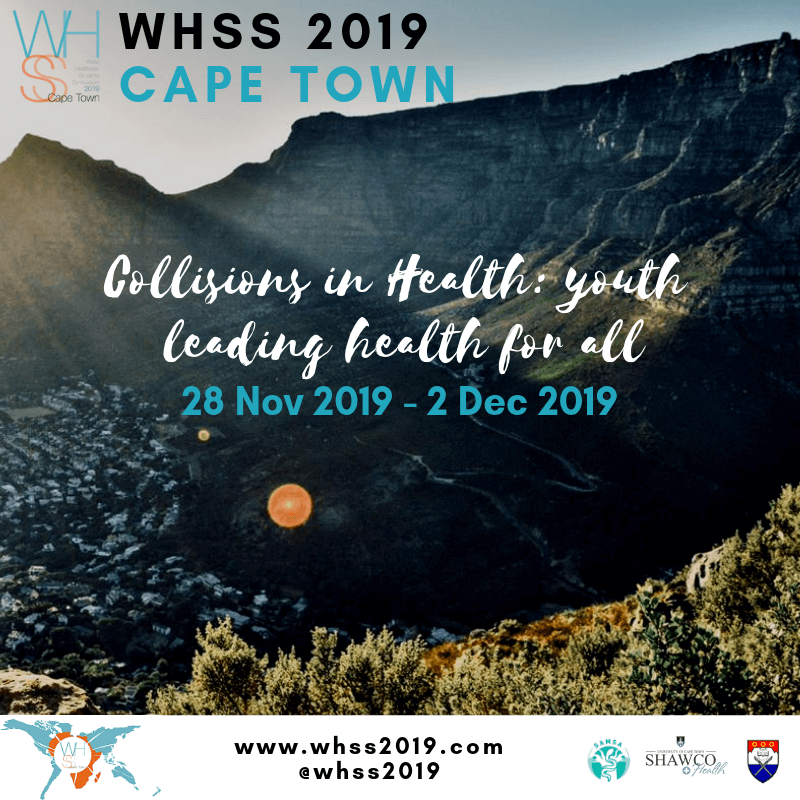 In 2019, WHSS will be hosted by the University of Cape Town, South Africa and will take place from 28th of November to 2nd of December. backgrounds, to learn, discuss and draw inspiration from eminent speakers, policy makers and renowned global health leaders. 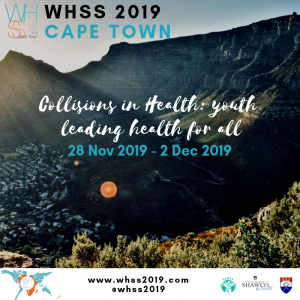 WHSS also provides a unique platform for delegates to debate, build long lasting networks and friendships and come up with collaborative and innovative solutions to the World’s most pressing global health challenges. With around 1000 delegates expected, WHSS 2019 will be one of the largest global gathering of interprofessional students. converge, network and discuss the most important global health issues of our time. Don’t miss out on this chance and register now! to a great international event. Please note that after the deadline the applicants will be contacted by IFMSA’s representative in order to confirm the spot.